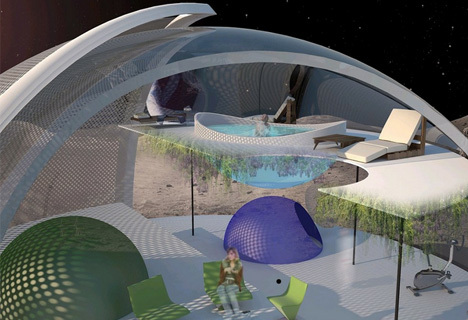 Colonizing our orbiting neighbor has long been a fantasy for humankind, but what kind of form would a likely dwelling take? 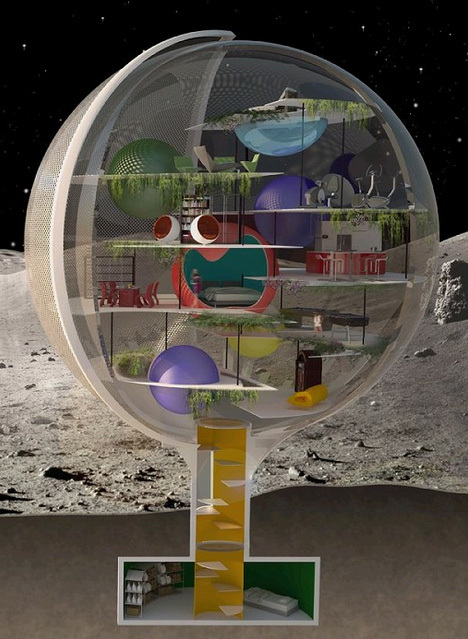 This proposal is partly whimsical, but also factors site conditions not every would-be lunar architect considers. 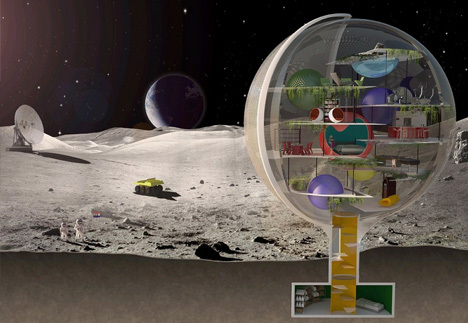 Perhaps neatest of all is the split-level, stair-less configuration of the space – a nod to the lower-than-Earth gravity conditions that would allow residents to leap and bound from one floor to the next. The shape of this sphere by Royal Haskoning Architecten is a nod to our home world, but also a practical way of providing maximum exterior views from a house without a readily-available front porch or back yard. A series of rotating shades help regulate light and heat, reducing temperature extremes while gathering the sun’s energy. 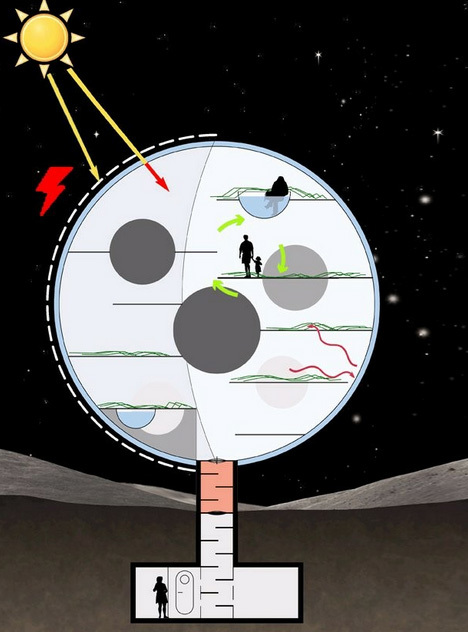 For more serious solar storms, an underground bunker provides safer emergency shelter.